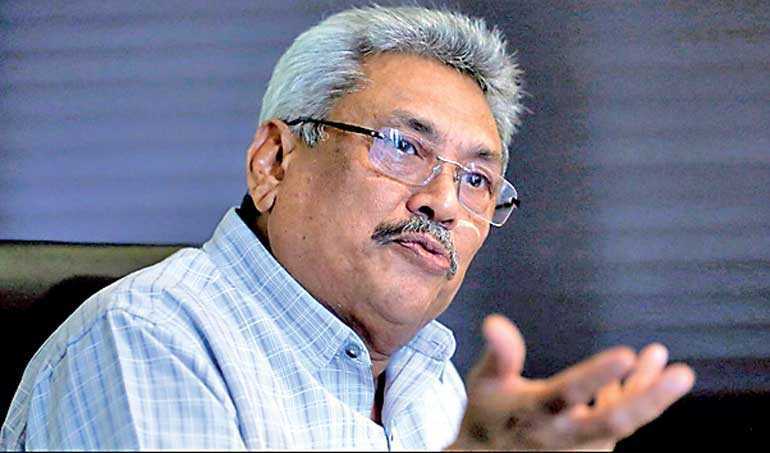 The Special High Court has rejected the objection filed by former Defence Secretary Gotabaya Rajapaksa challenging the Court’s jurisdiction to hear the DA Rajapaksa Museum case on misappropriation of public funds. The three-judge Bench of Justices, Sampath Abeykoon (President), Sampath Wijeratne, and Champa Janaki Rajaratna issued its decision when the case was called on Monday. President of the three-member High Court, Justice Sampath Abeykoon, said that the case is being heard on the instructions of the Chief Justice and therefore, the three-member High Court bench cannot make a decision regarding the power of the Court to hear the case. Accordingly, the preliminary objections raised by the Defendant were rejected and the hearing of the case will continue. Upon the request of the Defence, the judge bench ordered to issue a copy of the Chief Justice’s order to the Court. When the case was taken up today, the 6th Accused, Mahinda Saliya, did not appear before the Court and his counsel informed the Court that the Defendant was ill and was being treated in hospital. Accordingly, the three-member Special High Court postponed the hearing until 22 February and ordered the Defence to make submissions on that day. The Attorney General filed charges against seven Defendants including former Defence Secretary Gotabaya Rajapaksa, accusing him of misappropriating state funds amounting to nearly Rs. 34 million to construct the DA Rajapaksa Commemorative Museum at Weeraketiya in Medamulana. The former Defence Secretary raised preliminary objections through his counsel that the Colombo Permanent High Court-at-Bar does not have jurisdiction to hear the D.A. Rajapaksa Museum case, since the Court, which was established under the Judicature (Amendment) Act, is only authorized to hear cases pertaining to serious economic and financial crimes, and as this case does not fall into the aforementioned category. In addition to Gotabaya Rajapaksa, the other respondents in the case are former Chairman of the Land Reclamation and Development Corporation Prasad Harshana de Silva and members of the Board of Directors Bhadrawati Kamaladasa, Sudhammika Attygalle, Saman Kumara Galappathi, D. Mendis Saliya and Mallika Kumari Senadheera.